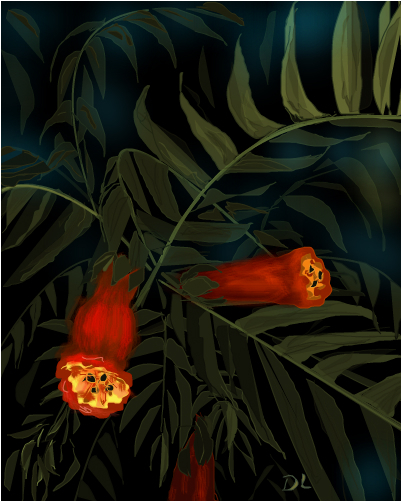 Author's description: Trumpet vine is a favorite for some and a pest for others. Bright orange/red trumpet shaped flowers, it is a climber. Seeds are green large pods like beans, but don not eat them!